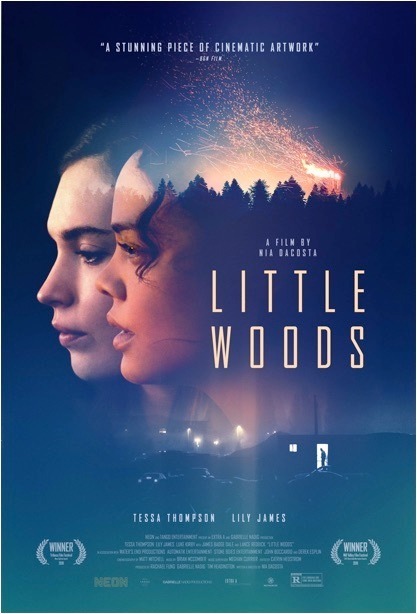 Little Woods is a 2018 American-Australian crime thriller western film, written and directed by Nia DaCosta in her directorial debut. It stars Tessa Thompson, Lily James, Luke Kirby, James Badge Dale and Lance Reddick. The film had its world premiere at the Tribeca Film Festival on April 21, 2018. It is scheduled to be released on April 19, 2019 by Neon.